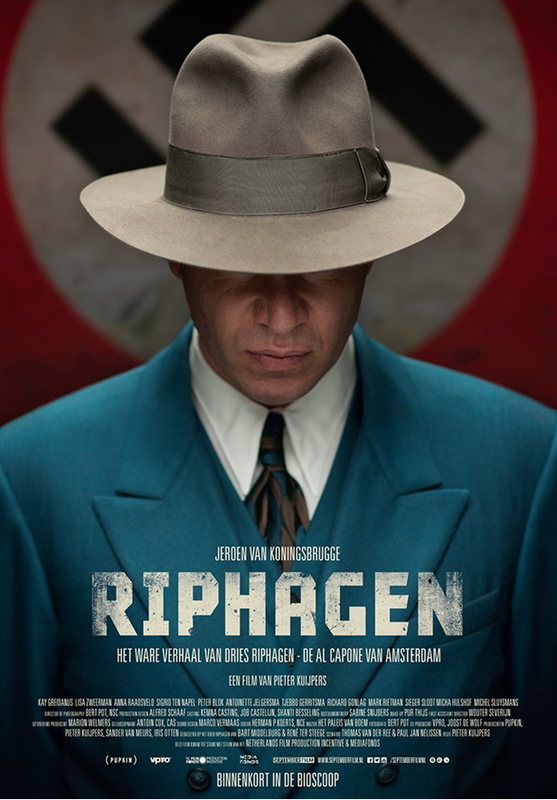 This entry was posted in History, Movie, Reviews, Trailer, True Story, Uncategorized, War Movie, WWII and tagged Dutch movie, Movies, Review, Riphagen, War Movie, WWII. Sounds like Dr Petiot. I’d never heard of him, so now off to look him up. It’s on netflix, so I’ll be able to watch it. It’s surprising actually since it’s a movie from 2016. I’d never heard of him either. I think you will like it. It’s well done. I really ‘enjoyed’ this one and I wouldn’t have heard of it w/o your tip. What a story…..
I’m so glad to hear that. Yes, what a story. It really left me speechless. Interesting film indeed, quite the rollercoaster! Thanks for mentioning it in the first place. The leading actor is fantastic, and this ‘bigger than life’ thug often reminded me of ‘Boardwalk Empire’ characters, which is always a pleasure. That said, the movie is perhaps a bit too fast for my taste and I was disappointed by Jan, whom I found hardly believable at several moments, not to mention the end. I read there was a TV series before the movie; maybe that particular form is more adapted to such an eventful slice of life – also allowing for a smoother blend of historical context, psychological insights and entertaining suspense. My pleasure. I’m glad you liked it. I do agree with what you said. There were a few moments that seemed rushed or could have been longer. I had problems with Jan as well but since it’s a true story, maybe that was really how it happened. I wouldn’t mind watching a mini-series. I wouldn’t mind several seasons, as pre-war and post-war seem equally interesting when it comes to the main character. And one season per war year at least! Btw I found the twists and turn of wartime politics particularly interesting in the movie: they put the moral dilemma most characters are struggling with under a light rarely seen. You’re right about the wartime politics and the chnages fater the war. That alone would justify a longish episode. I suppose there would even be a pre-war starnd that could be interesting as Riphagen was a crminal before the war. It would take away the focus on the war but deepen the story of his life. It’s just so shocking to think how many of them managed to live a cushy life in Argentina.